The kitchen as we know is an essential place inside the house where it should be warm and cozy for all the family members. It should also be designed well to be stylish and full of life. 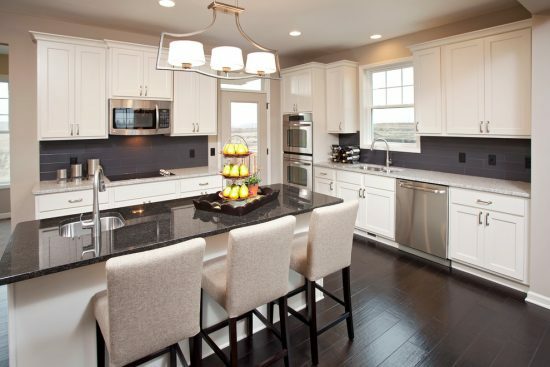 What about considering a black and white kitchen scheme? 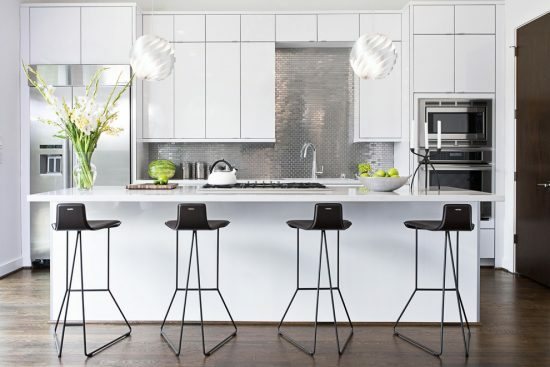 Don’t be afraid of designing your kitchen in black and white. It is so elegant and up to date which will always be modern. 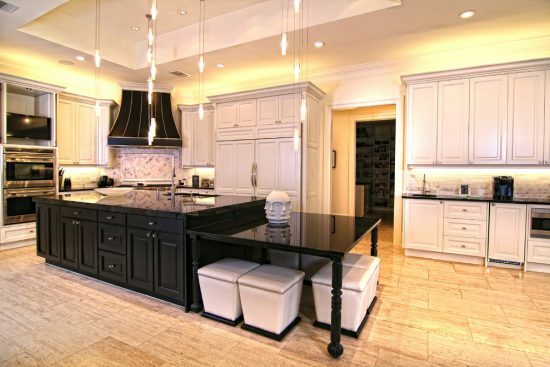 But you need to be careful when decorating a white and black kitchen. 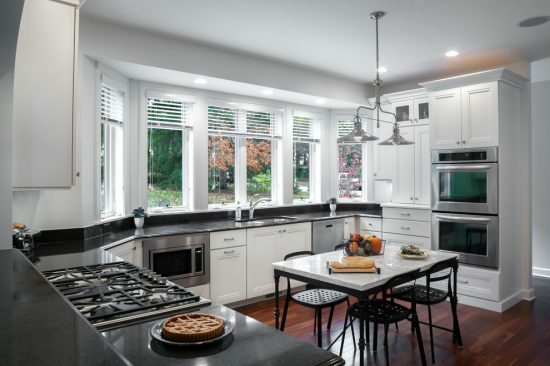 The four basic items while decorating are cabinetry, worktops, walls and finally floors, and for sure never forget the light accents and appliances. 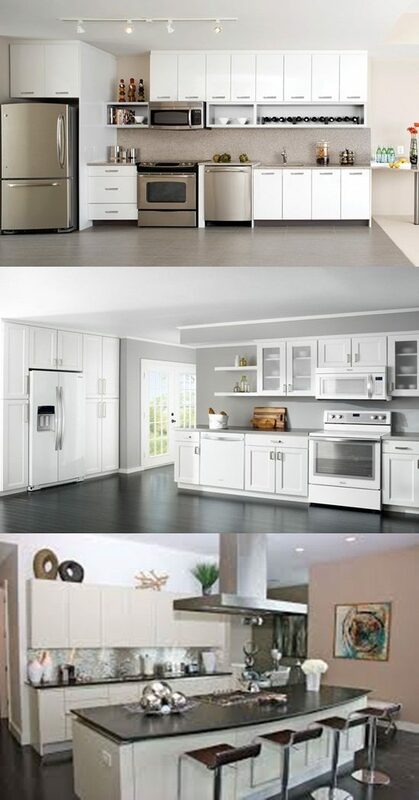 You have to contrast every item together; first you have to decide what cabinet color you go for “black or white”. If you pick a black cabinet with natural wood, you shall paint the wall with white colors. 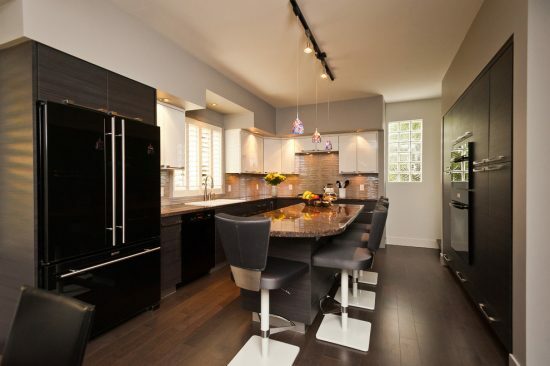 Then to add the elegant look and modern feel you may pick a black granite worktop. 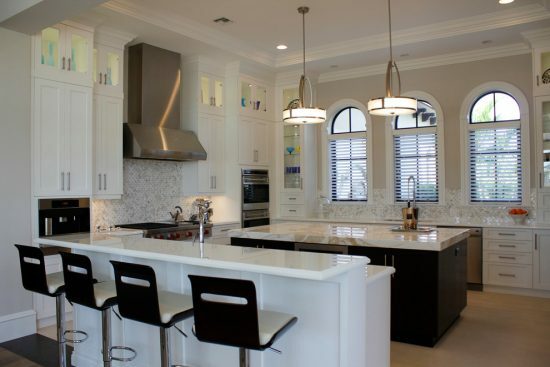 The next step is to choose the white and black tiles flooring to improve the look. The best choice for these tiles is the black and white ceramics because they come in different shapes, patterns and styles. 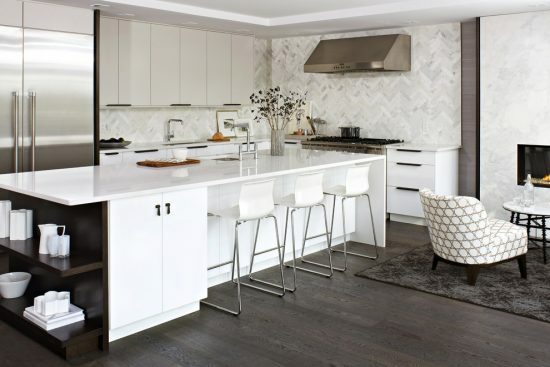 You can also use the same tiles for the backsplash. But if your kitchen is small, you may go for a white cabinet to add warm and bright look and install a countertop with black highlight. This will go well with a warm color for the wall. Then you may also use the same black and white ceramics flooring. All this mix together will make your kitchen fashionable and cozy. For both ways of decoration you can pick the stainless steel appliance, or you may pick the black or white appliances to match your décor. 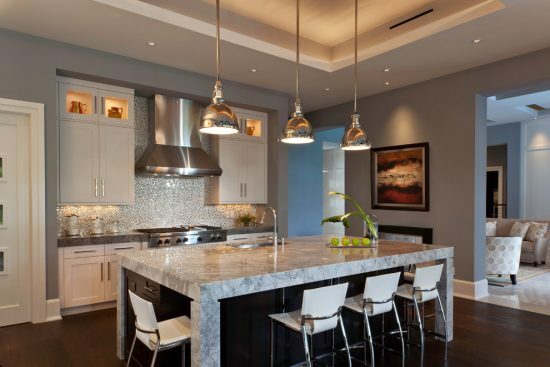 But the stainless steel appliances are gorgeous in all kitchen styles. The light accents are very important either to enhance the look. Use the natural light and put with them mirror too for a dark cabinet to brighten it up. You can install them under cabinet and use spotlights as another option for complete the beautiful cozy look.